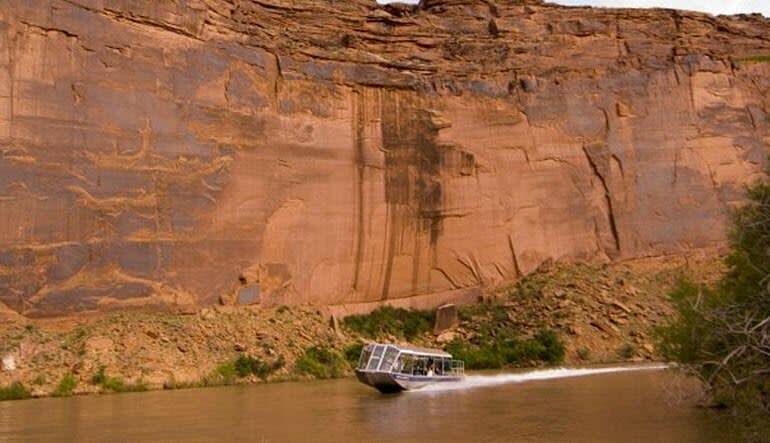 Explore the canyons of Moab on a jet boat ride down the Colorado River! Sit back and take in the scenery as a knowledgeable and humorous guide narrates the tour. 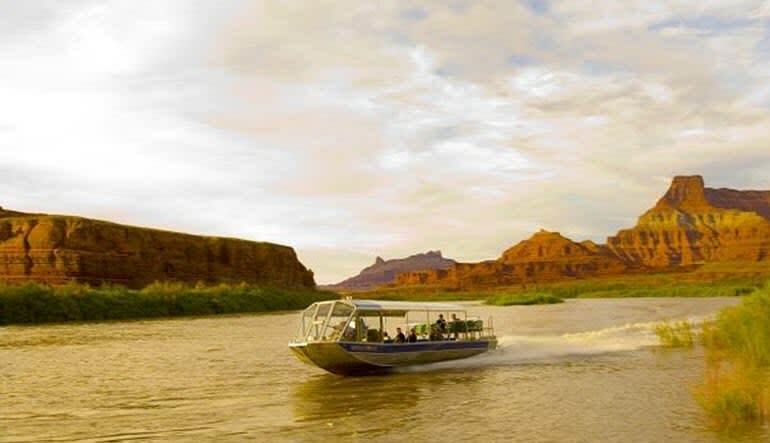 Moab is at the center of the most stunning red rock landscapes on Earth and slithering throughout is a beautiful portion of the 1,450-mile Colorado River. Known for its dramatic canyons, the Colorado River slices through the tall canyons – some as tall as 2,000ft. The tour itself takes place on a calm water section and you are fully covered in the boat. This means you’ll beat the heat and enjoy the beauty of the area. The boat does go fast, but this is more of a scenic tour since it glides across the water very comfortably. So, it’s great for the whole family! 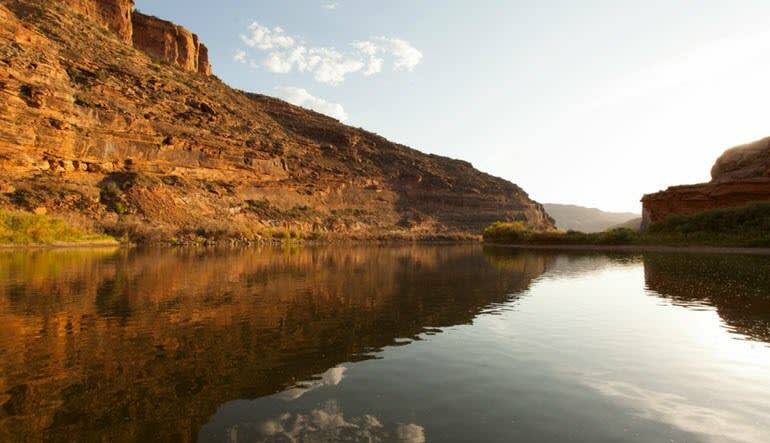 Glide down the Colorado River with a chance of spotting wildlife and birds. The canyon walls are awe-inspiring so bring a camera!